Over the weekend the Rockford IceHogs opened their training camp and the Blackhawks sent a big number of players packing, getting their current training camp roster down to 33. They’ll need to get it down to a maximum 23 active players for Opening Night. It’s worth noting that the limit on active players will be impacted by the injuries of Connor Murphy, Gustav Forsling and Corey Crawford. All three will likely begin the season on IR. Of the forwards competing for the final 3 or 4 spots. Fortin and Highmore are speedy, gritty, versatile, types. Hayden and Ejdsell are big bodies, Hayden a smart physical player and Ejdsell a more offensive threat. Kampf and Johnson are centers who may end playing wing for a bit and both are engaged in the play and making a strong case. Sikura the hopeful star of the future player and Martinsen a Q type pressbox player. 4 or 5 will stay. Ejdsell still does not look like and NHL player. He will be sent Rockford and should. Martinsen is a solid player who plays with toughness and doesn’t look out of place out there. Good depth player. Fortin will go to Rockford as well and I suspect Kahun just so he can better adjust to the North American game. I think he comes back before Ejdsell. Q’s comments on Boqvist are positively interesting but after he plays in the last 3 preseason games I still expect him to go to London. For as much promise as he shows he’s still only a month past his 18th birthday and still south of his eventual playing weight. I’ll enjoy watching him in these games but won’t be disappointed one bit when he gets sent back to JRs. I expect Rutta will be more consistent this season after playing inconsistently well last season. He’ll be more used to the NHL speed and smaller ice so we should see more of the good play and less of the deer in the headlights. Gustafsson – not sure we’ll see anything different which is very good offensive play coupled with mental mistakes and being out of position several times a game. He’s been around the block enough where he just may be what he is with little hope for improvement. 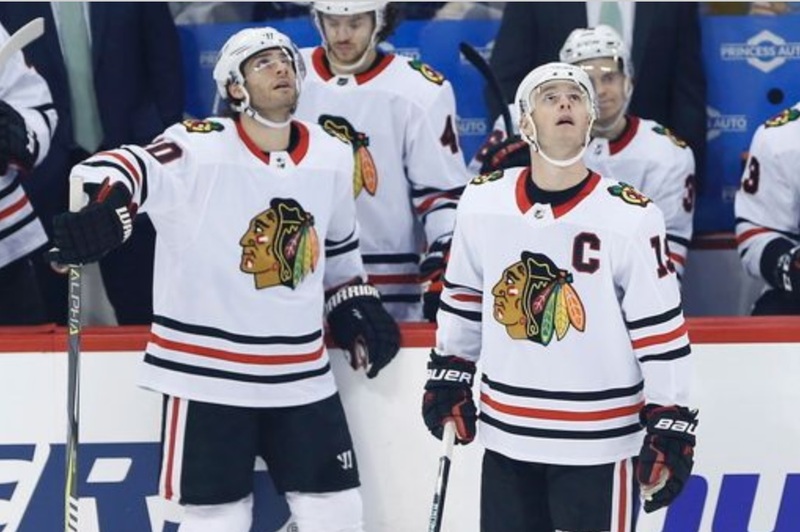 Keith and Seabrook – did they discover the Fountain of Youth over the summer? Seabrook dropped some weight and is supposedly in the lest conditioning ever but we’ve heard that from many many pro athletes over the years so I’ll believe it when I see it. Keith never had a lack of condition problem but Father Time catches all of us so there’s another wait and see. Davidson/Manning – Davidson would be my pick between the two but probably both make the team. Both of them are serviceable at best but … whatever. Dahlstrom has played well and shown he can play either side. I think he’s a good bit ahead of the other young d-men with size and would have no problem with him making the team. Jokiharju/Boqvist both showed they are NHL d-men in the making, especially Boqvist, but I’m not convinced either of them are ready for the NHL yet. Boqvist should spend the year in London and in my opinion Joki should at least start the year in Rockford – but it sounds like the Hawks are determined to force Joki onto the team so I hope if they do it’s the right decision. That roster has all the makings of a 7 or 8 seed and about 5 games in the 1st round vs. Nashville or Winnipeg. Pathetic. It will be interesting to see how they handle to goalie situation because Forsberg has to go through waivers and could get claimed if they send him to Rockford. The dilemma is that because Crawford probably won’t be ready for opening day they would need a backup for Ward and Forsberg would probably be that guy. However, when Crawford returns to the roster they would need to send him through waivers to get him off the roster. So the choices are send him to Rockford before opening day when you may be able to “sneak him through” because all other teams are dealing with their own roster and waiver issues or send him through waivers in a few weeks when Crawford comes back but there won’t be any “sneaking” him at that time because all other teams will know it’s coming and be ready to snag him if they so choose. Course, this only matters if Crawford is actually going to return to the roster which even though that seems likely now I wouldn’t bet the farm on it after the whole weirdness of Crawford’s injury/recovery. Probably all 12 guys on the top 4 lines make the team. Martinsen is the only iffy one and we all know Q’s affinity for “Martinsen type” players and to his credit he has played well in the preseason games. That means only 1 or 2 of Fortin/Highmore/Ejdsell/Hayden/Sikura make the team depending if they keep 13 or 14 forwards. To me the most obvious first cut would be Ejdsell and probably the next two are Fortin and Highmore. The real tough decision is if they are keeping only 13 forwards is between Hayden and Sikura. Sikura was supposed to be a no-brainer but he has been underwhelming and I think it would probably do him good to go to Rockford and have to earn his way back up to play with the Hawks. But maybe being relegated to the press box for the game against Detroit on Tuesday provides some motivation and he gets back into the top-12 in time for the last 1 or 2 preseason games. We’ll see. the best Hawk by far was Kahun, and it wasn’t close-instinct, compete, skating-now there were only about three or four Hawks who had a chance to play opening night in the line-up (probably 7 or 8 for Ottawa) but still. Others Hawks to look at least good were Kampf, Jokiharju, and Johnston. I was at one time a Knott fan but he hasn’t progresses one bit in two years and looks slow. The two goalies both made nice saves but to be honest from the 10 minute mark of the first period on Ottawa was a joke and will struggle to stay out of the basement. Logan Brown really disappointed. Formenton can fly! It was a weird weather night to be sure but the attendance was about 2000-ish. I hope they keep their team, but it looks shaky. Thanks for the info Noonan. Kahun, Johnson, and Kampf do seem to be the preseason prospect stand outs. Not seeing it with Jokiharju and Sikura unfortunately…as of right now I have no idea what the hawks roster is going to look like or how they will perform. Ganderhawk-the best d-man that night was Dalhstrom (and Davidson) but he is slow of foot and will be exposed, IMO. He was chasing Duchene and Dzingel and it was obvious they were too quick for him. Jokiharju has upside and quickness. I don’t even know why someone would waste all that time posting crap like that. Personally still 3 more games to see and evaluate the roster to start the year. As far as defenseman with 42 and 5 injured. Send down 63 and 41 for more seasoning unless they are going to play every game. And goalies if 50 goes on IR. Just stick with 30/31. Send Delia down for the majority of playing time in Rockford. I’m siding with Ebonyraptor’s assessment of the Jokiharju and Boqvist situations. Even with as well as they’ve played and the injury situations with Forsling and Murphy, I’d like to see both of the young guys start the season off the main roster. While not stars, there are other guys in the mix that are capable and at least slightly seasoned at the NHL level. I’d like to see the two young guys continue to get solid development and confidence at a lower level, and then help the big team out at a later time. Here we go again! Coach Q slowing down the development of an elite playmaking centre in Nick Smaultz!!! Why? And once again, GROUND HOG DAY, everyone is playing their off wing, this is a real joke! Q was a great coach but he is not letting players play their natural position. And he is falling in love with Luke Johnson and Marcus Kruger so they will play 3rd and 4th line centre and score of a total of 5 goals all season. And Saad playing his off wing on a 3rd line??? 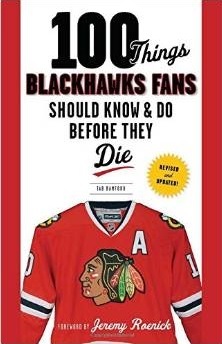 We have Smaultz Toews Anisimov as our 3 centres…Let them play and start developing natural wingers. Hockey 101! Do not touch 20 8 88 but also stop with every single player playing their wrong wing!!! Players are not comfortable unless your name is Kane, Hossa or Ovechkin! It’s still training camp and preseason games – it’s the appropriate time to try different lines and see how players do in different roles. Nothing to panic about. It’s unrealistic to think the Hawks are a legitimate contender for the Cup this season so now is the time to experiment. another reason to hope Boqvist gets into a few regular season games before getting sent to London – it’s more important to get him some experience and hasten his development than it is to win a game in October. Noonan, right on mate. I was driving to a maintenance place 10 yrs ago to get gas for the work truck and the sky were dark grey and I didn’t see it but there was a tornado here about one country rd over. I saw it in the news and realized how close I was. Thing is that’s prob the only one in this area in 100yrs/not happen often. So I just thought it was some massive rain type thing and kept driving. That’s wicked man. You wouldn’t have wanted to be in the work truck I was driving in that day when theres weather like that. If Jokiharu doesn’t make the team can he be sent to Rockford or does he have to go back to his junior team? Schmaltz CANT WIN FACEOFFS. We are a puck possession team. He is atrocious at taking draws. Hasn’t improved at all. He’s a winger, not a center. From what I am hearing, Boqvist has been the most impressive young talent in camp and in preseason action. Assuming this is true, we should be seeing him get playing time out of the gate when the “real” season begins to better judge his progress/potential. It’s all about transitioning to the speed of the NHL and the mental process players have to go through to compete. Let’s keep our fingers crossed. Heartening to hear that since the D corps needs help. On an even more positive note I have Crow is finally feeling normal again as of yesterday and his spirits are up! This is is the best thing I have heard about this Hawks team, since well Corey got hurt last December. If Crawford can come back soon when his fitness level is better, and come close to matching his level of play prior to his head problems Hawks MIGHT have a shot at playoffs. I’m so happy though to hear that Corey is really feeling good. Will be weird to be back at the UC tonight. Seems like it’s been a really long time. Mox: agree as to faceoffs spot on. It’s a big problem team wise sans Toews. Kampf, kruger and johnson are all fine to good at the dot. Zack smith on waivers by Sens could make an interesting addition. When the dust settles from camp, Schmaltz will likely be playing center. Hard to imagine Boqvist doesn’t end up in London after preseason or before 10 game mark at most. Sounds like Jokiharju will stay, or that Bowman may have the option of Rockford or Portland under his control, whereever they feel serves his development best. MacKinnon, McDavid, Malkin CANT WIN FACEOFFS. Are they wingers? Q playing wingers on their wrong wings is a joke. What is the point of having the forward lines in blend mode for the entire season? MOX, I think Gretsky, Savard and Lemieux were awful taking face-offs as well. Big Deal. So, because he is average on faceoffs, we are going to sacrifice #8 being a star centre who is tall, skilled and fast with a high IQ? Saad playing on the 3rd line…like that game last year in Vancouver when Q stuffed Saad on the 4th line and added Anisimov as a winger with Kane and Nick. The rest was downhill for SAAD who is making 6 million! Btw, after tonight’s game we saw who cannot play in the NHL…Manning, Davidson, and especially Ward….Kunitz is in the same pool!!! Wasted money once again by Bowman. Let Forsberg and Delia play. Ward is done, Kunitz is done, Manning and Davidson are done. Let young faster players like Kampf, Fortin and Highmore play. We are not a cup team so why get this washed up players? He isn’t average on faceoffs. He is effing terrible. 30-40% isn’t average. But hey, what do I know?